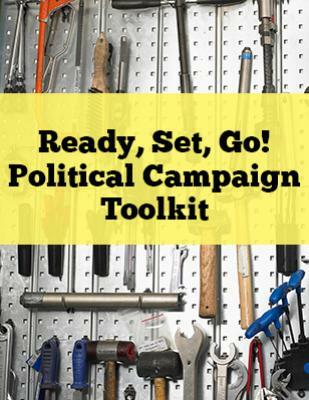 We love a good tool kit and our political campaign toolkit for Ready, Set, Go! Jumpstart Your Political Campaign, is a great resource for any campaign. To follow the ebook release, this toolkit will provide you with many necessary tools to keep your campaign on track and organized. We hope you find these, along with the tools found in our Are You Ready to Run? Toolkit, helpful when launching your campaign.